MINDCRAFT is hacked version of the famous game Minecraft that encourages the audience to think about questions surrounding sustainability, and the creation and destruction of cities, civilizations, and societies. In its original form, Minecraft is a digital game that allows players to freely create, destroy, and explore in an open virtual world. At first, players build modest structures to protect themselves against the monsters that roam the wilds at night, but as the player’s mastery over the game grows, so does her ability to create something grand and lasting. The infinitely large game world contains infinite resources, and as such, players are free to dream up and construct impossible structures, convoluted machinery, labyrinthine gardens, or grandiloquent metropolises; the only limits are those of the imagination. In this unbounded world, visitors are free to ignore the problems they have created with impunity; if an area has become deforested, barren, or polluted, players may simply move on to a fresh new area, rendering invisible their missteps and excesses as they fade beyond the horizon. By encouraging players to recklessly develop and exploit the game’s “natural” world, Minecraft harnesses and perpetuates perspectives that view the real world as an inexhaustible source of materials at the disposal of our consumptive desires. But what if Minecraft, rather than portraying a world of vast possibility and scant consequence, could be altered to focus on the opposite? How would the game change if the infinite world was made pressingly and inescapably finite? 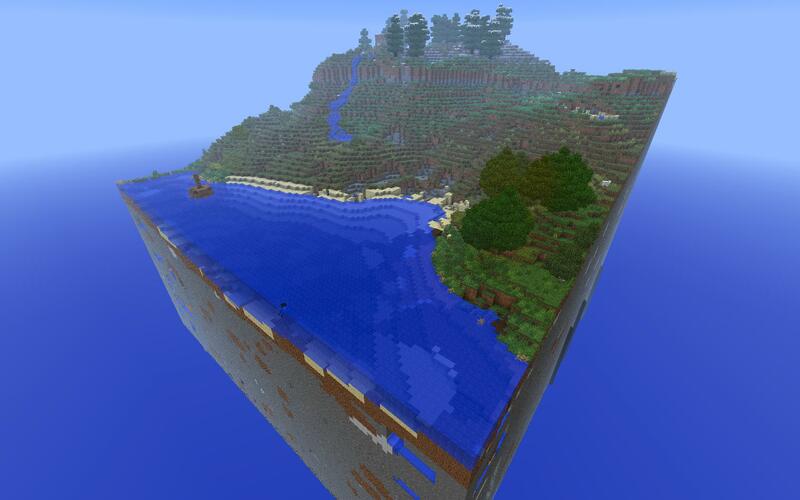 Unlike in the original infinite world of Minecraft, this version presents players with a world heavily modded and reduced to a 100×100 block island in the void. Players have to give up their seats when they die in game, which encourages them to think about what they inherit and what they leave behind to the next player. 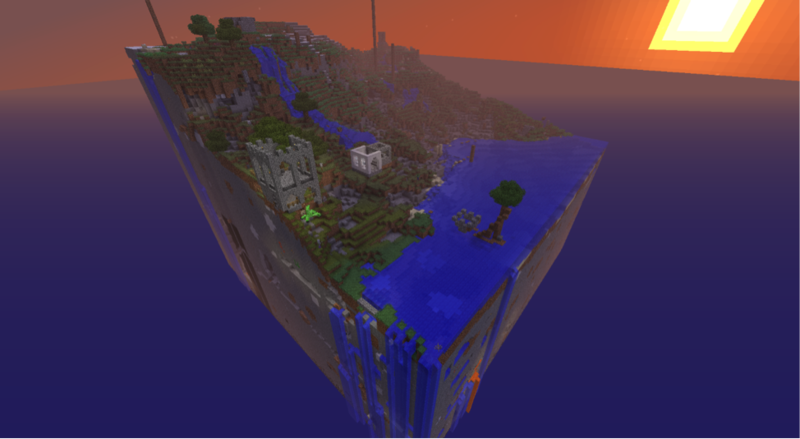 By limiting the world, players cannot recklessly develop and exploit the game’s “natural” world, instead they find themselves in a world with ruins of castles and forts built by previous players. The lack of resources often makes the gameplay difficult but it also results in players starting to work together to replenish forests or build safe places. On top of the continuation between players, our 100×100 block carries forward between exhibition sites as well. We are currently working on different forms of documentation that among others will help us understand player behaviour and possibly result in further research. In March 2015, minDcraft was exhibited as part of Arcade 11, TAG’s public arcade of experimental games for public enjoyment. In May 2015 the project was presented at IDEAS CITY, a collaborative, civic, and creative enterprise, that builds on the New Museum’s mission of “New Art, New Ideas” by expanding the Museum beyond its walls into the civic realm.